 Welcome to the first newsletter of COMETHA, a collaborative project started in 2014 and co-funded by the 7th Framework Programme of the European Union. The scope of COMETHA is the construction and operation of an integrated industrial facility for the production of second generation bioethanol and other co-products from lignocellulosic feedstock. The project is led by Biochemtex, in partnership with Novozymes, Imperial College of London and Eta-Florence. Find more about the partners here. 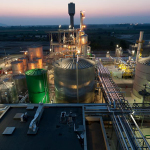 The plant will be the first of its kind at pre-commercial scale; it will be based on the innovative, Biochemtex-Beta Renewables PROESA® technology, already successfully demonstrated at the Crescentino plant in Italy, that is operational since 2013 with a capacity of 40,000 tons per year of cellulosic ethanol. The construction of the Crescentino demo plant was supported by FP7 founds. The demo plant was designed with some operative margins, in order to allow for the further optimization and improvement of processes and layout. Relying on this technology validation phase, the COMETHA plant will implement these improvements and will then represent an important milestone towards the commercialization of cellulosic ethanol. This will be the first industrial scale plant to present a combination of the following ambitious and innovative features. - a system for the valorisation of secondary streams and process integration, including the energetic use of lignin. While implementing the industrial technology component, COMETHA will address the development of a sustainable lignocellulosic biomass supply chain, that will be necessary to fulfill the plant’s annual feedstock demand. 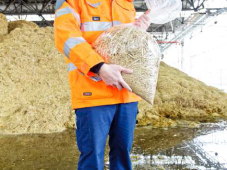 The feedstock will be mainly constituted by dedicated perennial crops (Arundo donax) and agricultural residues. Feeding an industrial scale biorefinery with stable and homogeneous raw material will require the establishment of an agricultural supply chain capable of providing an amount of biomass in the range of hundreds of tons of dry matter every year, in an environmentally and socio-economically sustainable way. This challenging task will be achieved by using both dedicated energy crops and agricultural residues. The combination of different biomass sources with non-contemporary harvesting times, will be indispensable in order to provide uniformity of supply and the regular functioning of the plant. Read more. 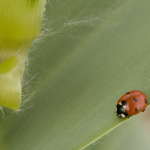 In parallel to the development of the technological and feedstock supply components, COMETHA will develop a detailed life cycle assessment of the plant in order to demonstrate the actual GHG emission savings of second generation ethanol and the sustainability of the whole agro-industrial process. What kind of activities will be carried out in the COMETHA project? The COMETHA project has started in January 2014 and will be completed by 2018. During the first year of activity, engineers at Biochemtex have started an in-depth assessment of all the feasibility aspects of the plant, collecting all the necessary data for the permitting procedures and for the final decision on the plant’s site. At the same time, the continuous monitoring of the Crescentino demo plant that is operating since 2013, has provided a unique feed of important data and information that will be used for the design of the industrial pre-commercial size plant, as well as for the optimization and improvement of the processes. COMETHA is already developing and building on the knowledge and expertise learnt at demo facility, as shown below. Bulk density and moisture content of the biomass are the main factors affecting the operating parameters of the pre-treatment stage of a lignocellulosic ethanol plant. The monitoring of these parameters at the demo plant has allowed engineers at Biochemtex to better understand the requirements necessary to obtain high accessibility of the biomass with low formation of inhibitory products. 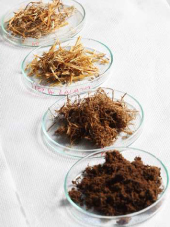 In 2014 extensive work has been conducted to test new types of biomass at pilot scale, using at least 10 tons samples for each kind of biomass. This work has validated the high flexibility of the PROESA® technology with regard to heterogeneous biomass resources. 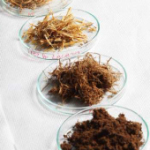 In addition, these tests have allowed to understand in-depth how the properties of different biomass feedstock (physical properties in particular) affect the results of the pre-treatment processes. Consequently, researchers are more and more learning how to adapt the parameters of mechanical pre-treatment to different feedstock in order to achieve high process yields and biomass flexibility. Following to the mechanical pre-treatment , the steps of viscosity reduction and hydrolysis of the biomass have a double function: obtaining a solution with reasonable sugar amount before fermentation and liquefying the solid content stream in order to guarantee a constant and continuous flow of the material into the fermenter. During 2014 the monitoring of these steps at the demo plant has allowed to achieve high process stability in terms of glucose release, dry matter content of the hydrolyzed biomass and temperature. 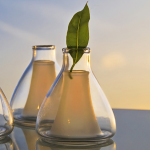 In parallel, new and customized enzyme formulations provided by Novozymes were tested in 2014. The focus of the joint research activity conducted by Biochemtex and Novozymes is allowing Novozymes to understand how enzyme activities can be modulated to enhance their performances and progressively reducing their dosage and for researchers at Novozymes to screen, develop and select new experimental enzymes with the aim of achieving increased process yields in future product generations. 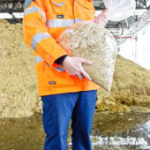 Novozymes activity in COMETHA is to produce and deliver a cost efficient enzyme mix to be used at the COMETHA plant. The previous optimization of the enzyme cocktails carried out for the Crescentino plant, prior to COMETHA project, resulted in a number of development candidates, whose products have showed high robustness to process variations. Evaluation of several batches of this new products was performed and showed comparable performance when compared at lower dosages against previous commercial enzymes. Supplementing development products with individual components and enzyme replacement experiments is expected to result in new leads for further improvements and in the definition of optimal process conditions for new improved enzyme products for the future. In COMETHA, Novozymes strong enzyme discovery platform will be used to identify improvements, largely based on information from the demo facility. New leads will be tested in continuous operation at pilot scale to verify their scalability. Cost reduction will be achieved by the incorporation of improved molecules and through the optimized use of the already available commercial enzymes. 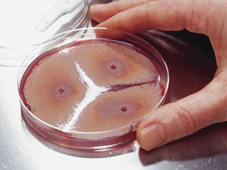 The second generation process is based on a simultaneous co-fermentation of both C5 and C6 sugars that can be obtained by using ad hoc yeasts with a high ethanol tolerance. This process can be operated with standard equipment, that can be easily scaled-up in the COMETHA plant. 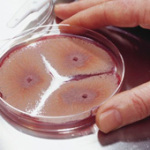 New yeasts are under development and have been tested at demo plant to reduce propagation and fermentation times while maintaining high ethanol yield. While the engineering and demonstration activities of the project will go on, in 2015 a new research component will be fully implemented by Imperial College of London, which will focus on the integrated assessment of the sustainability of the process developed in COMETHA, taking into account all technological, environmental, economic and social aspects. The environmental sustainability assessment will involve a detailed LCA, GHG reduction calculation, water footprint and (indirect) land use change assessment. The scope of this activity will be to develop a framework for assessing the environmental sustainability of next-generation ethanol plants and to investigate alternative supply chain configurations. Finally, this research will provide a high-level strategic assessment of environmental aspects related to lignocellulosic ethanol deployment in Europe. Find more information about the project on our website www.cometha.eu or write to info@cometha.eu for any enquiries.